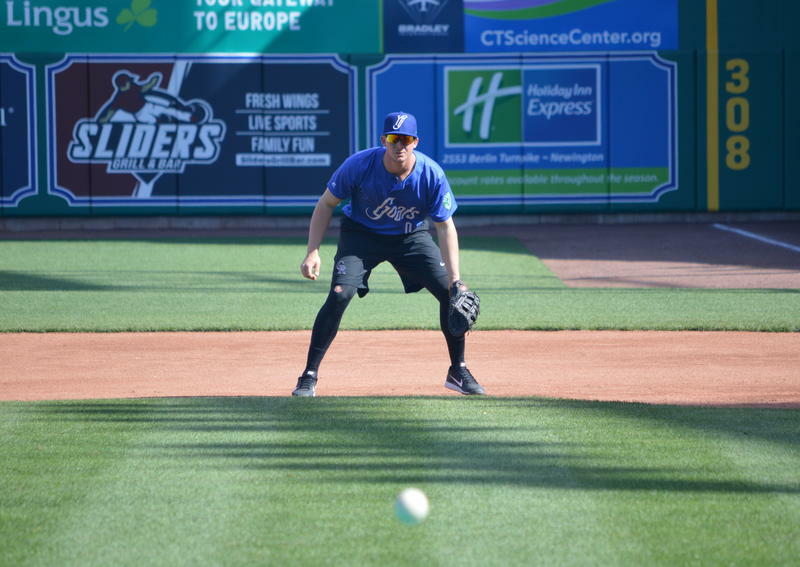 Yard Goats utility man Ashley Graeter fields grounders at first base. 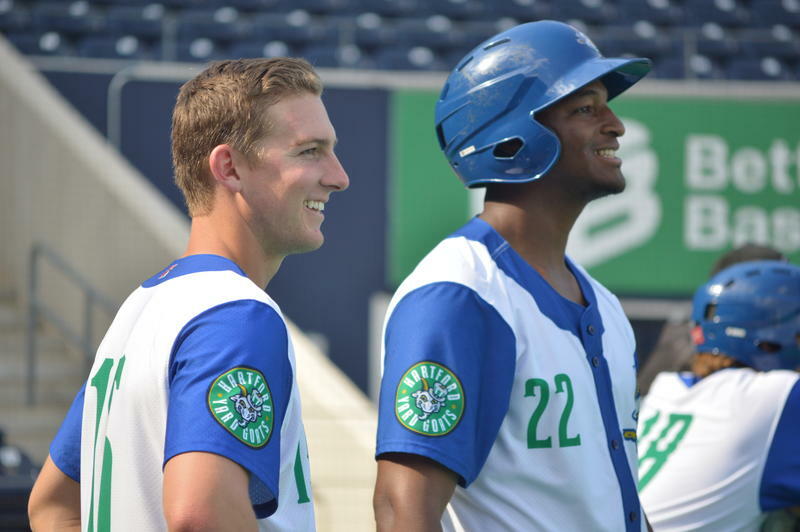 Infielder Ryan McMahon watches batting practice with Yard Goats teammate Correlle Prime (#22). And so, some of these guys are still in the prospect pile, but the truth is, most of them aren’t. 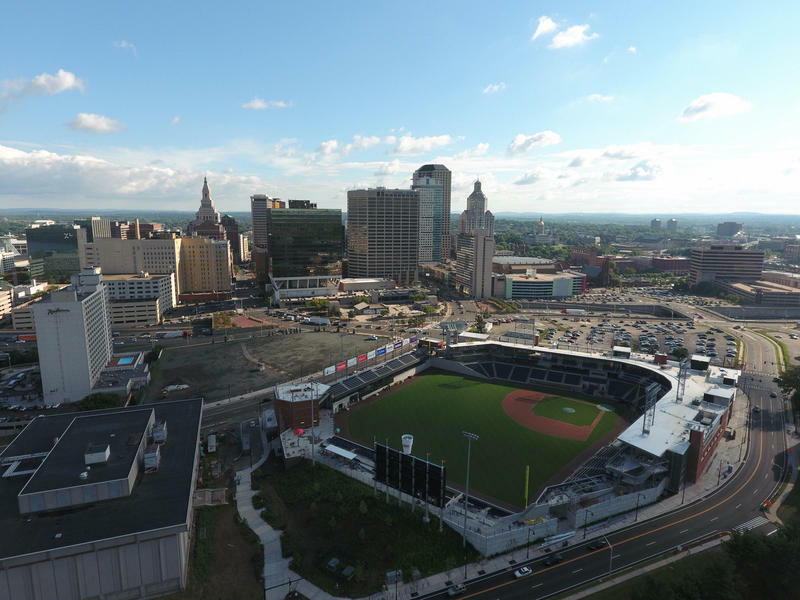 This episode, I want to introduce you to a couple Hartford Yard Goats. And while it might sound like I’m sorting these two guys into those two piles, believe me: I’m not. I’m not smart enough about this for that. And baseball’s too difficult, too fickle for that. Both of these guys might be stars one day. But, on the other hand, maybe neither one of them will. 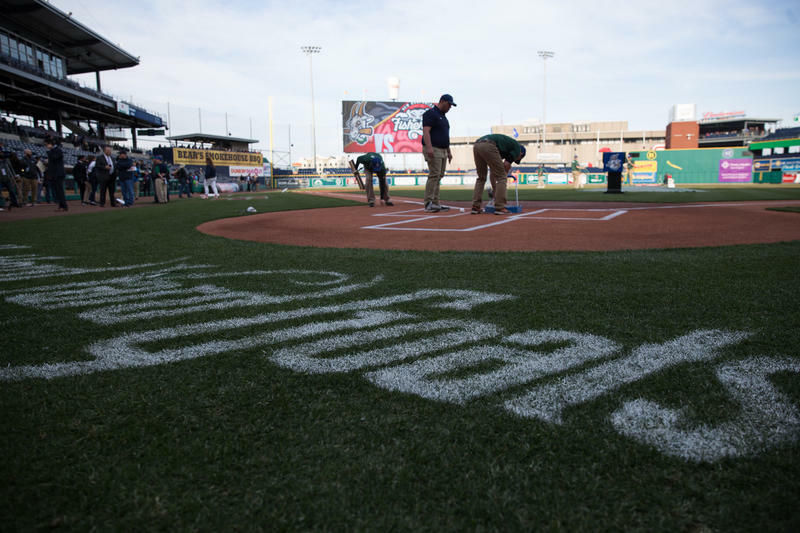 We've been feeling like maybe all the serious politics coverage we've been doing has crowded out some of the nonsense sports coverage we like to do. So this hour: sports nonsense and nothing else.